When Eric Blanks, gifted and composed owner of Eric Blanks Media, was asked what’s trending in the world of wedding videography, his lofty proclamation surprised me. “I believe in a few years traditional church weddings will be a thing of the past.” Is that so? That intriguing answer peaked my interest and I delighted in learning more about his visionary take on subjects spanning from marriage and entrepreneurship to the importance of living a healthy lifestyle. EP: How did you get your start in the business? EB: I come from a family of artistic individuals. My father was both a photographer and videographer so I've always been around cameras. My twin brother showed me how his DSLR Camera had the ability to both film and take pictures, which I thought was awesome and it immediately peaked my interest in filming. Shortly after, I ran into a recording artist and asked him if I could shoot a music video for him at no charge. As they say...the rest is history. EP: What makes Eric Blanks Media unique? EB: What makes Eric Blanks Media unique is that my talents span across an array of both artistic ability (right-brain) as well as logical, analytical and objective (left-brain) capabilities. I try my best to push the envelope and always try to think outside of the box. I'm always learning and growing and changing with the times. My logical way of thinking allows me to master the technology I use. EP: Describe the best moments you’ve had running your business thus far. Also provide any challenges that you’ve overcome. EB: I think running my own business is one of the best decisions I've made. My thoughts and actions are not very mainstream so starting my own business was definitely the way to go. My challenges are trying to balance my work and family and also not to take on too many projects at once. I'm sort of a workaholic. EP: Does your personal style influence your work? If so, how? EB: I look different than most and am easy to pick out from a crowd based on my appearance. I try to let my work stand out as well. EB: I offer videography, photography and web design services. I specialize in video, but believe I'm also ahead of the curve when it comes to photography and web design as well. You name it...I do it! EP: Describe your clients. Are most of them brides, corporate, etc.? 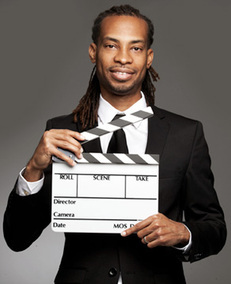 EB: My clients range from celebrities to corporations to your everyday working person. Most of my clients come from the entertainment realm but the scale is slowly tilting to the everyday person. EP: What has been your favorite project to date? EB: All of my projects are my favorite. I enjoy working on every project that I do and treat them all with the same importance. EP: Other than your business, who are your favorite wedding and event industry vendors in Atlanta? EB: I filmed a 1920's themed wedding a few weeks ago and they had a live band, Casme and The Rocks Band. I love listening to music and anytime there is a live band with live instrumentation I immediately become a fan. EP: What are your favorite venues in Atlanta? EB: I don't have a favorite venue per se, but I love outdoor venues...nothing beats natural light. EB: I draw my inspiration from other artistic people. I grab inspiration from multiple sources then try to merge them together and add a little twist therefore making it my own. EP: What’s trending in your industry right now? EB: Cinematic and non-traditional weddings are definitely getting more popular. I believe in a few years traditional church weddings will be a thing of the past. EP: As a husband, what’s the best piece of marital advice you give to newlywed couples? EB: Don't expect your mate to change on your behalf. Accept them as how they are today. EP: What are your favorite memories from your own wedding day? EP: What’s your event passion? EB: My favorite celebratory occasions are definitely weddings. I enjoy being a part of a couple's special occasion and am elated when they select me to film their weddings out of literally thousands of other vendors. EP: Where do you see Eric Blanks Media in 10 years? EB: In 10 years, I hope to be a game changer. I plan on pushing boundaries and coming up with something so unique that it will eventually be a new trend. I want to come up with concepts that people associate with my brand. EP: Is there anything else you would like to share? I enjoyed my conversation with Eric and love working with him even more! Check out the footage he shot from the Kai Lin Open House I planned and remember to contact Eric to film your special occasions at www.ericblanksmedia.com.